Planning a trip to the Arctic or Antarctica? This inside information is just what you need. Richard Harker is a photography, Photoshop, Lightroom and iPhone expert – and a heck of a nice guy. He has spent 14 years as a photo coach on Abercrombie & Kent voyages around the world ­ in both the Arctic and Antarctica, as well as in Japan ­ on luxury ships. Rick, also a photo coach for A&K, and Richard discuss photographing from the deck of a large ship as well as from a zodiac (rubber inflatable boat). 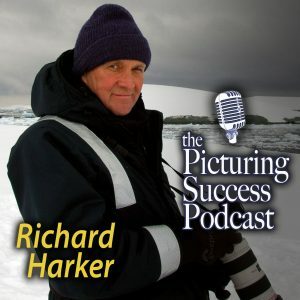 Rick and Richard cover the challenges of wildlife photograph and ice photography. They discuss lenses, camera care, exposure and more.